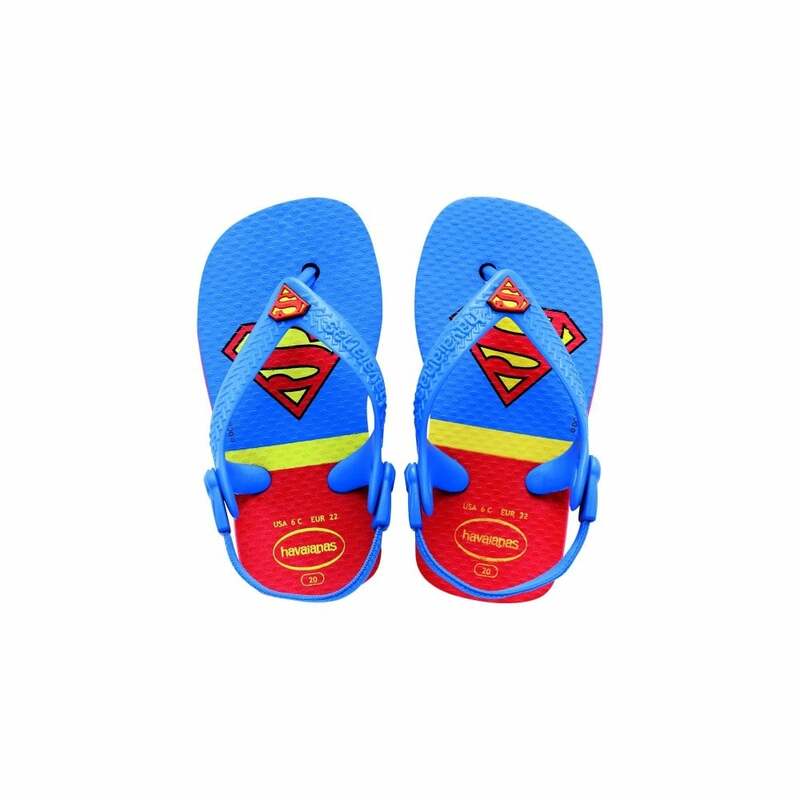 Brazil's original and authentic flip-flops for the tiny fans of superheroes. There are prints of Batman and Superman. The straps feature a charm with the superheroes' shield. - The straps on this model feature a plastic accessory with the superheroes' symbol and there is a second strap around the heel in order to better secure the foot. - It features the shield of the superheroes. Brazil's original and authentic flip-flops for the tiny fans of superheroes. There are prints of Batman and Superman. The straps feature a charm with the superheroes' shield. - Made in Brazil. - Material: Rubber sole. - Benefits: Comfortable, durable, lightweight, heat-resistant, non-slip and water-resistant. - Description: Greek key pattern on strap, rice grain pattern on top of sole; "brick" pattern on bottom. - The straps on this model feature a plastic accessory with the superheroes' symbol and there is a second strap around the heel in order to better secure the foot. - It features the shield of the superheroes.